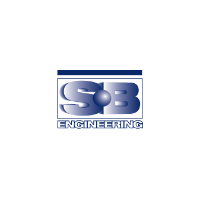 The whole is greater than the sum of its parts… SBE provides a full complement of engineering services to support heavy movable structure projects, from inspection to design to field construction support. ALL of our engineers are provided exposure to ALL phases of heavy movable structure projects. Not only does this lead to well-rounded engineers, it also provides the know-how necessary to meet our clients’ needs whether owner, contractor, designer, fabricator or installer. The goal of a well-installed, functional, cost efficient project should be shared by all project parties. We provide the know-how to make it happen.